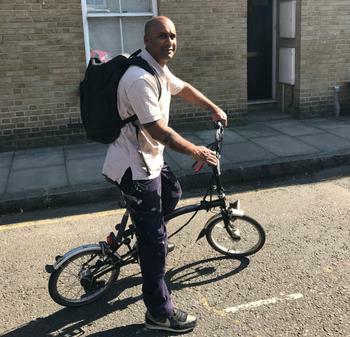 Last December, The Zero Emissions Network gave fully serviced second hand Brompton bikes to four businesses in Tower Hamlets to encourage cycling in the workplace. A Marr + Associates, AECOM, Vinarius Wines and Clearflo Plumbing and Heating. 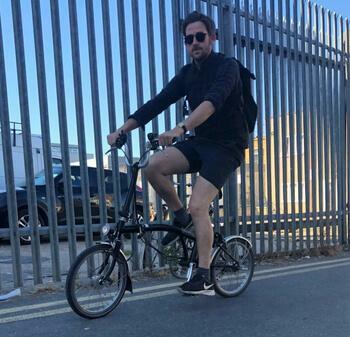 Seven months on we caught up with the businesses to find out how they were finding the iconic folding bikes. Evans from Clearflo Plumbing and Heating in Bow, has been using the Brompton bike weekly for 7 months. He says his commute “feels freer” and has changed his business for the better by making travelling more convenient. Businesses love the time saving aspect of cycling in London versus using other modes of transport: “It makes travelling to local jobs much simpler and saves time getting stuck in traffic or trying to find a parking space.’ Evans, Clearflo. Marketing and media company A Marr + Associates in Hackney Wick use their Brompton about twice a week as a pool bike. They said, “It encourages everyone to cycle and is a stress free office essential! The Brompton bike has been an excellent tool for the team to get around. It has made meetings less time consuming to get to and as a result it has increased our agencies productivity. We’ve been able to link up a lot easier instead of having to chase buses and trains for meetings.” A Marr + Associates. 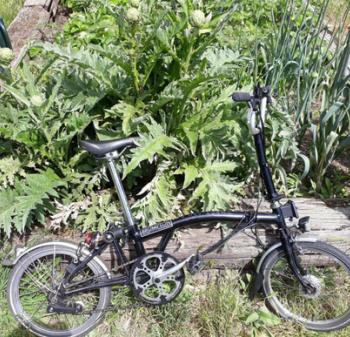 Sophie Downer from wine bar Vinarius said, "I have been using the Brompton constantly, and am absolutely in love with it , I commute to work (via the greenway in east London) and collect veggies from my small allotment to cook at the restaurant." Interested in using a ZEN grant to purchase Brompton bikes? Get in touch with the form below.